First and foremost, we would like to thank you for your devoted support and for sharing this awesome journey with us. 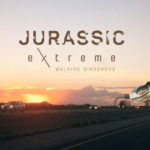 We’ve been operating Jurassic Extreme for over a year now, and it’s been one of the most rewarding years of our lives. 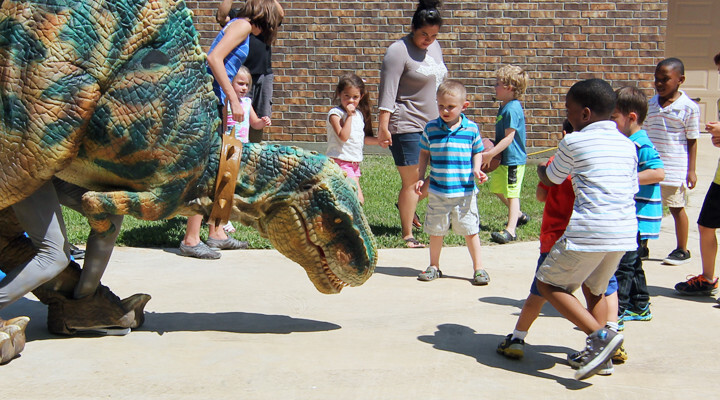 We’ve had the opportunity to create memories with so many kids and adults who love Dinosaurs as much as we do. 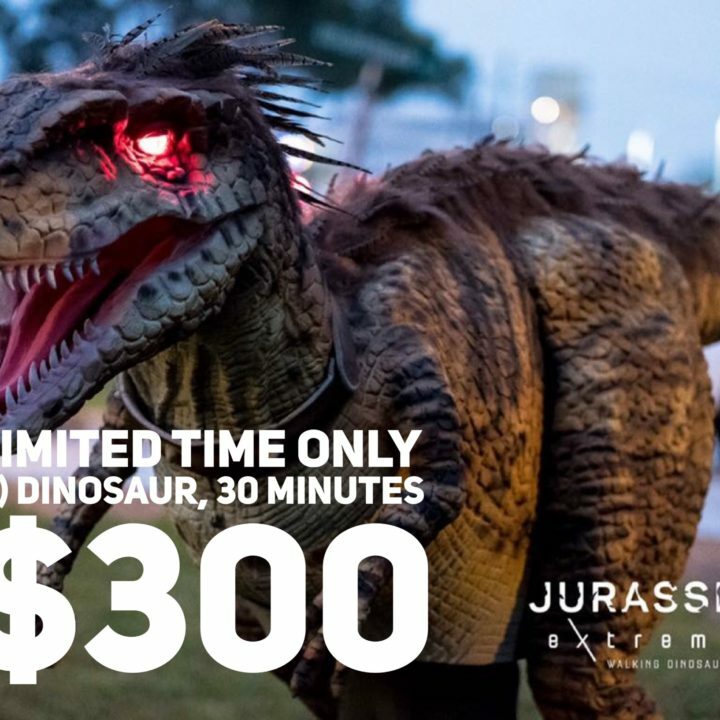 We are grateful for every event we attend and have the opportunity to provide the Jurassic Extreme experience. To all of our clients: We thank you immensely for that opportunity. 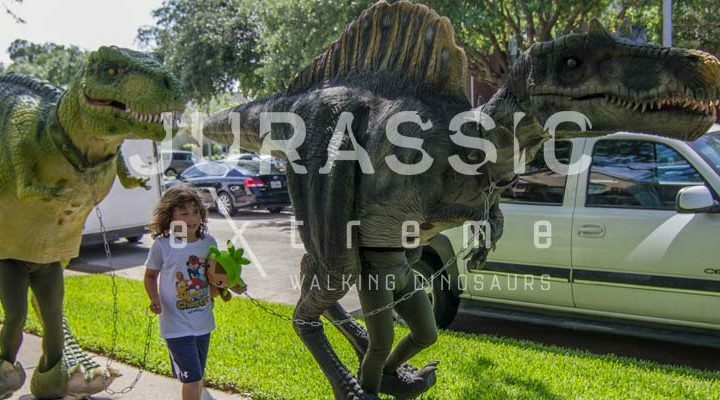 Moving forward, we are super excited to grow the Jurassic Extreme family. 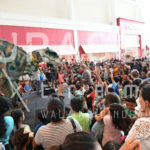 More walking dinosaurs costumes to come! 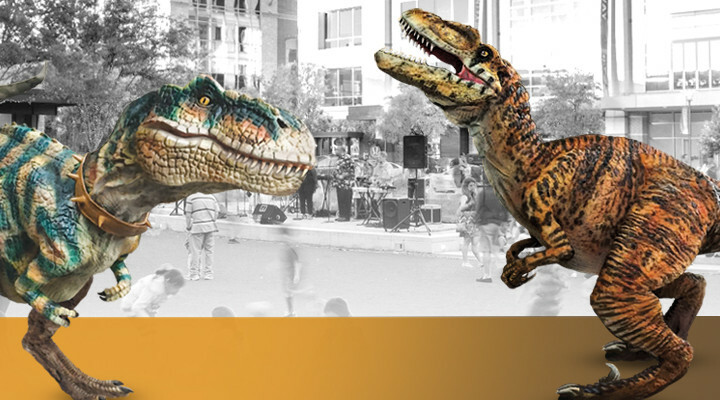 Our newest addition, Rocket X and a Remy (Spinosaurus) are ready to carve their own rock stardom! And, it didn’t take long for Remy to climb up that ladder. Are you ready for this? BIG NEWS: Remy will be making her debut in San Jose, California for an Apple event! How cool is that? 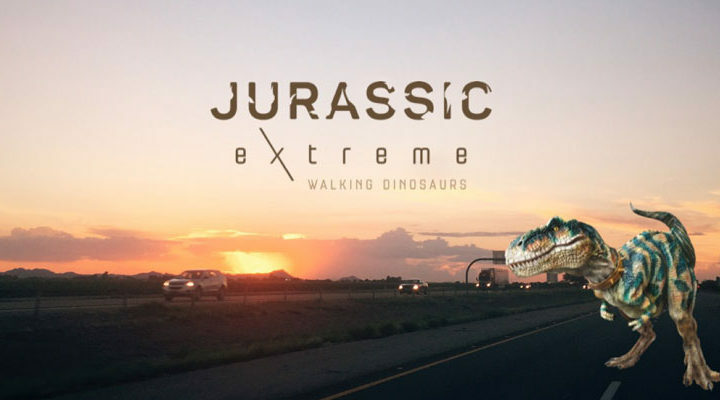 Yes, we are traveling to California next week to showcase our Jurassic Extreme experience. 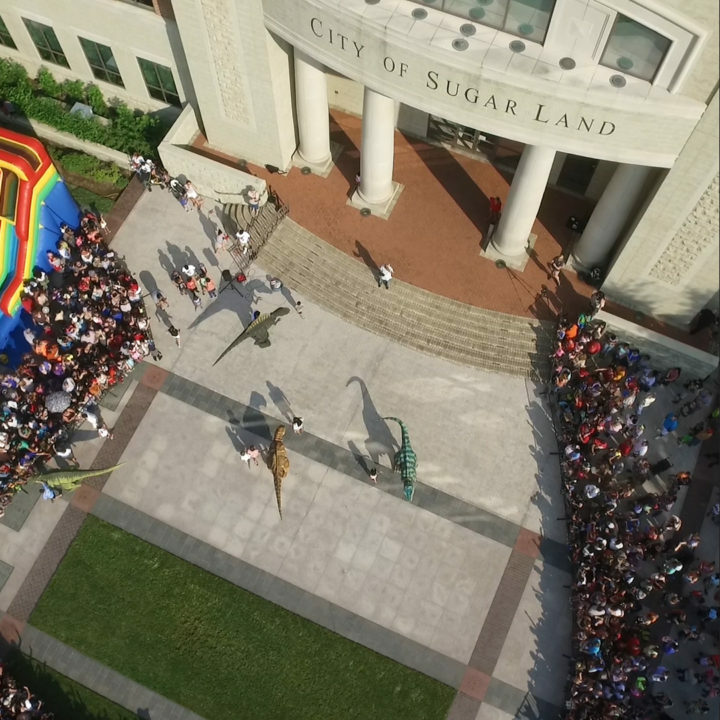 Apple is such a great company, and we are honored to give them the live Jurassic Extreme experience. Lastly, bookings for birthday parties continues to be the most popular choice. We love celebrating birthdays and putting smiles on kids faces. 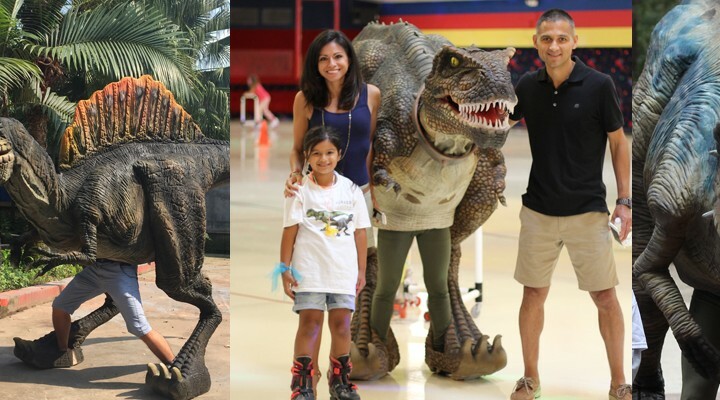 Not to mention, watching the parents transform to kids again and seeing them enjoy the experience as as well. 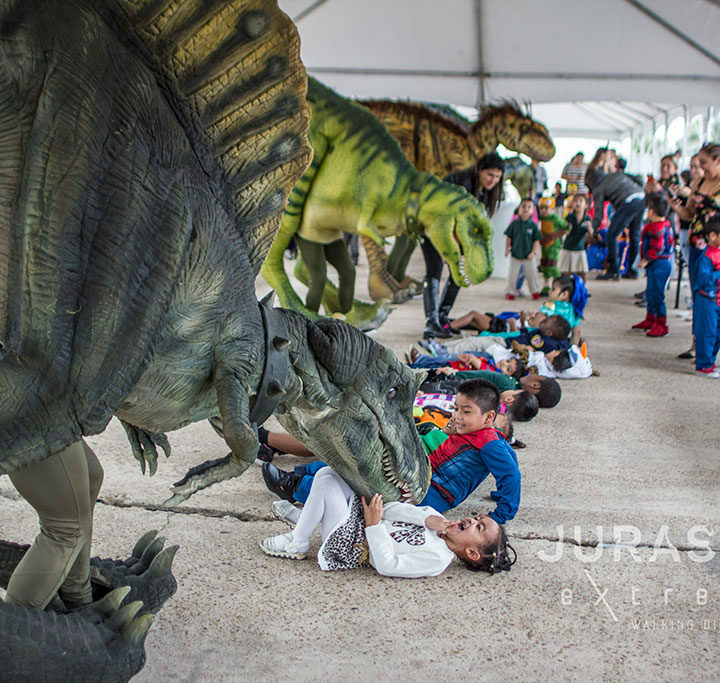 Aside from birthday appearances, we have also participated in this years Houston Children’s festival in downtown Houston, a July 4th Parade for Meadows Place, Texas, an appearance at MacDonad’s, Memorial City Mall’s Jurassic Adventures, Discovery Green for a Jurassic World viewing event brought to you by Bank of America, a private networking event at The Museum of Natural science, Field Day at St. Theresa’s Catholic School, University of Thomas grad student year end social at St. Arnold’s Brewery, DNV GL’s Gala, Easter event at Celebration Church in the Woodlands, Holi Festival of Colors, 4th Annual Kids Running for Kids in the Woodlands, Muscular Dystrophy Gala and The Ultra 55 Hour Race in Sugar Land, Texas. 2016 has been a very busy and incredible year so far. So what’s next? Maybe a dinosaur with feathers? Robots Extreme, did we say Robots!!? What do you think? Stay tuned!